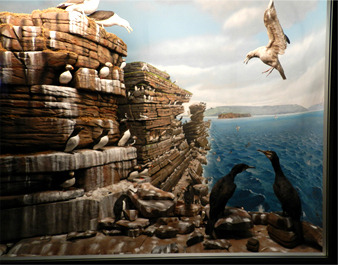 Forests are packed with animal life, and the Mammals and Birds Gallery showcases the countless creatures that are local to Nova Scotia. 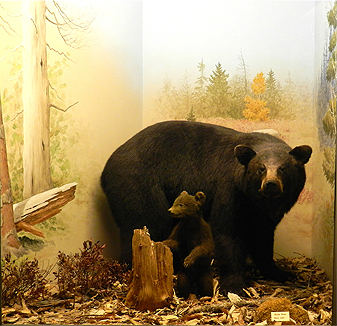 The gallery has many models of animals in their natural habitats including a life-sized mainland moose, a growling Nova Scotia black bear and a beaver. This permanent gallery is also home to a live feed from the osprey cam, a life-sized replica of a bald eagle nest and the now extinct passenger pigeon. We hope people enjoy learning about the animals that call Nova Scotia's forests home.